Surreal. Make love, not war. Smash hit “children’s book” read by Samuel L. Jackson available for free at Audible.com. I don’t have kids but I find it pretty f**king hilarious! Without naming James, Kasich’s resolution commends the Mavericks for their “loyalty, integrity and teamwork.” He also makes them honorary Ohioans. Cleveland can’t produce a championship team so Gov. Kasich adopts one for them. I think Cleveland needs to get over LeBron just like we’re all done with Carson Palmer. 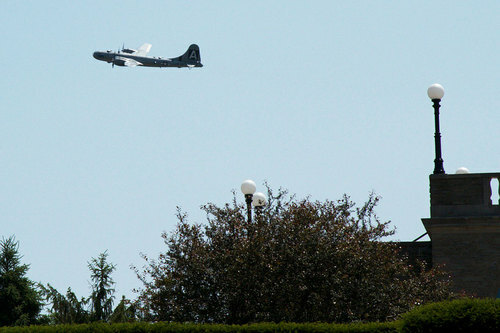 While at the Concours d’Elegance auto show at Ault Park, I managed to get a photo of the last flying B29 Superfortress. 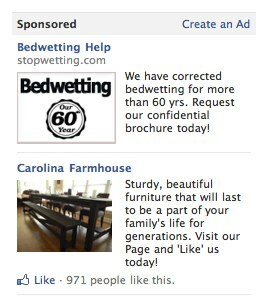 I wonder what part of my Facebook profile gets me “Bedwetting Help” ads. For the record, I think I have corrected bedwetting for 39 years. Steve Jobs presenting to Cupertino City Council Apple’s plans for a new campus. It’s vintage Steve Jobs keynote introducing the new Apple mothership. And mothership is probably the best description of this new building. This building is the culmination of everything Steve Jobs, with all the attention to design and detail that Apple is known for. It’s going to be spectacular. You always here about the number of birds killed by turbines but not the amount killed by cats. 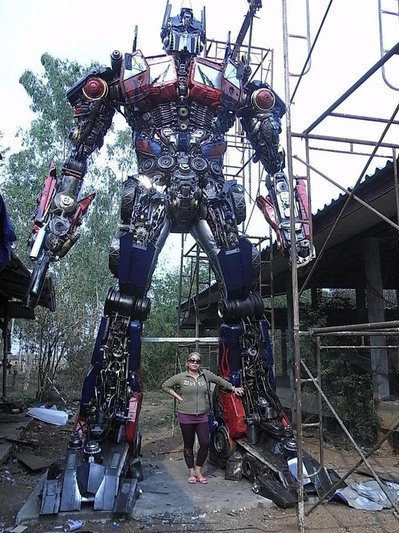 I wonder how they came up with the number 500 million. There was so much stuff announced at Apple’s WWDC keynote yesterday, it’s hard to know where to start. But one thing was abundantly clear: The humble mouse you’ve got plugged into your computer is living on borrowed time. There are Lions prowling, and they’re hungry for mouse-sized snacks. That was one of my first thoughts watching the Apple’s keynote yesterday. Apple popularized the mouse with the original Macintosh, but it’s clear that the mouse is clearly going to be a second class citizen going forward. Touch gestures are the future.